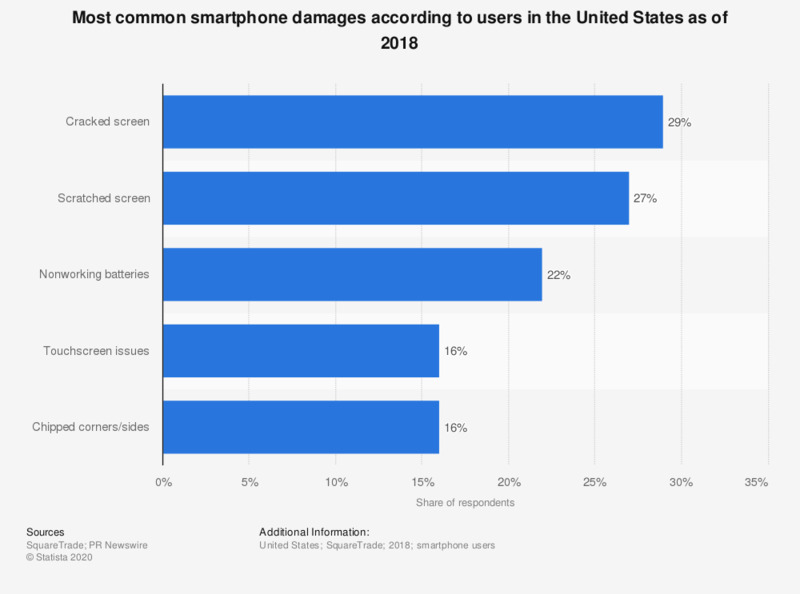 The statistics presents the most common smartphone damages in the United States as of 2018. During the survey period, 29 percent of respondents stated that they cracked their phone's screen. Dropping phones on the ground was the leading cause for smartphone damages.